“Writing” vs. “Typing” – Beware the Comfort Zone! One piece of advice that I have seen repeatedly over the years to get rid of writer’s block, is to just “set pen to paper”, not “set fingertips to keyboard”. So, after a particularly frustrating bout of writer’s block a while back, I tried it. 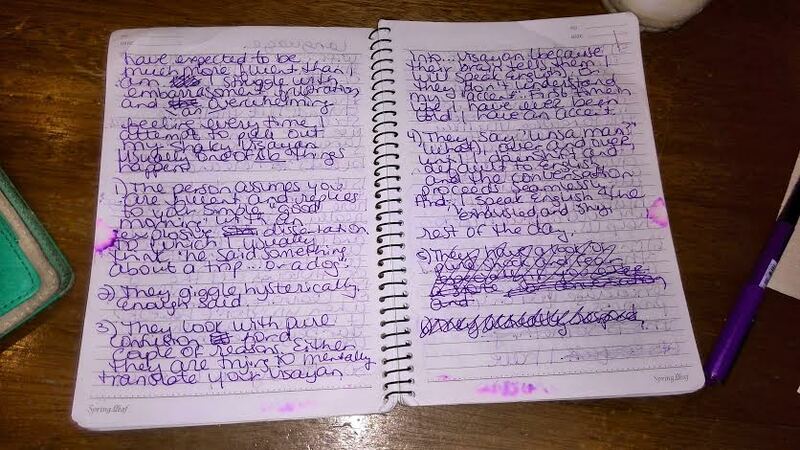 I pulled out a blank notebook that I bought, because it was cute, and my equally cute purple pen, and started writing. And a crazy thing happened. It worked. Writing is cathartic. It’s emotionally driven. It allows you to punctuate frustration, excitement, or anger, and it allows you to doodle silly pictures in the margins. It seems backwards. Keyboards are tidy, correctable, and efficient. Writing adds an extra step, kills trees, causes hand cramps, and wastes ink. But, writing is communication, and communication isn’t always tidy, is it? We blurt (or scribble) things we don’t mean, things that are permanent. We can cross them out, but they still remain. And once those things that we’ve kept inside are out, we are free. With a keyboard, we can delete things, and they are forgotten. When we write it out, even if we frantically scratch through it, the reminder stays. Writing becomes a form of personal journaling, not just reporting. Much more comes out than I publish on my blog, or send in an email, but I always feel so much more relaxed at the end of a writing session than a typing session. Writing heals. My writing notebook. Not the tidiest. And no, there is no coffee cup, casually tossed scarf and perfectly positioned vase in the background. There are no vintage, wispy filters. Stop doing that. Just write. It’s a bit of added weight, but I carry my cute notebook with me almost everywhere. And my purple pen, which is beginning to dry up. I have searched high and low for a replacement with no luck. One of my favorite childhood books is Harold and the Purple Crayon. It’s about a four year old boy who creates things, simply by drawing them with his purple crayon. 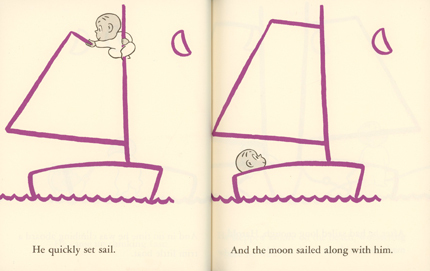 I’ve never been lucky enough for a moon or house or boat to exist simply because I drew them (a reality that kind of made me sad as a kid, yes, I’m ashamed to admit that I tried repeatedly), but I have created emotions, thoughts, and conversations with my extra skinny purple crayon. Oh Harold, if only life were that easy. Draw a boat, and sail away. Inspiration can strike at anytime, and it’s nice to have my messy notebook and pen ready to scrawl thoughts down. There have been way too many times when a brilliant dialogue has rushed into my brain, and I knew without a doubt that I would remember it, and I did. For about five minutes. I know most of us, myself included, have a phone or tablet at our disposal with note taking capabilities, but keep a notebook! And make sure it’s cute! Or sophisticated, trendy, your favorite color, whatever inspires you. I promise it will make a difference! I would much rather have writer’s cramp than index finger cramp from tapping on a teeny screen. There is definitely something to be said for returning to the basics. I’ve only ever written papers for school on a computer. Yet, I prize my journal, my physical journal for which I must constantly try to find the right pen lost in my house, my journal into which, as you say, I can accurately pour feelings in a way that typing can never communicate, or contribute to healing. Thank you for this.